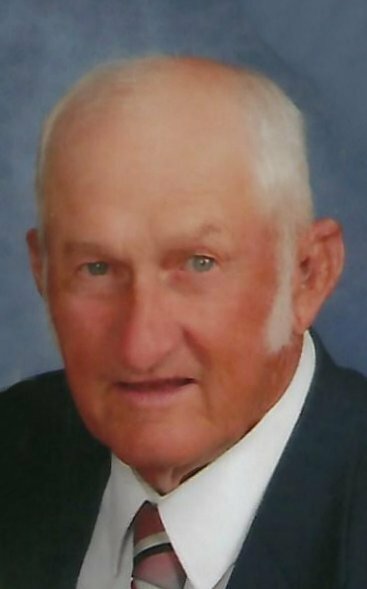 Obituary for Ray Edward Schreiner | McCombs Funeral Home Inc.
Ray Edward Schreiner, 82, of Old Appleton, passed away Tuesday, April 16, 2019 at the Lutheran Home in Cape Girardeau. He was born April 5, 1937, in Old Appleton, Missouri, to Walter and Edna Ruppel Schreiner. On September 1, 1957, Ray married Lillian Scholl, and they were the last couple to be married in the previous sanctuary of Immanuel Lutheran Church in New Wells. Three children were born to their union. Ray was baptized on May 23, 1937 and confirmed on April 2, 1950 at Grace Lutheran Church in Uniontown. He attended grade school at Buckeye School and Grace Lutheran in Uniontown and was a 1955 graduate of Oak Ridge High School. He was a SP3, serving honorably with the 1140th Infantry Division of the Army National Guard in Jackson and was a member of the American Legion in Perryville. Ray was a longtime member of Grace Lutheran Church in Uniontown and served on various boards. He had a strong faith in his Lord and Savior Jesus Christ and shared his faith through words and actions. Ray worked briefly at Straightway in Jackson and drove a school bus for Jackson R-2 School District, before returning to farm the family farm near Old Appleton. To say that Ray was a farmer does not really give him the credit he so richly deserves. He used his faith in God to guide him as he carefully tended the land for himself and others. His lifelong passion for farming leaves a legacy that generations of his family will proudly continue. Ray was incredibly proud of his family and enjoyed spending time with them, especially on the farm. He enjoyed hunting, fishing, feeding his cattle with his trusty dog, Jack, and watching the bald eagles nest while their eggs hatched. He had many friends whom he cherished dearly. His positive attitude and sense of humor were sure to bring a smile to your face. Loving survivors include his wife of 61 years, Lillian Schreiner near Old Appleton; three children, Deborah (Bruce) Schnurbusch of New Wells, Douglas (Lynn) Schreiner of Jackson, and Thomas (Linda) Schreiner of Oak Ridge; eight grandchildren: Jared (Renea) Schnurbusch and their children Jonah and Jessa of New Wells; Jenny (Chris) Macke and their children Sydney and Cole of Cape Girardeau; Jacob (Allyson) Schnurbusch and son Silas of Cape Girardeau; Brent (Kelly) Schreiner and children Rylie, Zachary, and Camdyn of Leopold; Deanna Schreiner and children Adyson and Landon Clinard of St Charles; Mandie (Brent) Presser and daughter Joanie of Jackson; Andrea (Lynn) Hayth of Tucson, AZ; and Alison Schreiner of Waverly, IA; a sister, Dorothy (Harlan) Siebert of Jackson; and his faithful canine companion, Jack. He was preceded in death by his parents; a sister, Gladys Siebert; and a great-grandson, Tate Werner. Visitation is from 4 to 8 p.m., Friday, April 19, 2019, at McCombs Funeral Home and Cremation Center in Jackson, and from 8 a.m. to service time, Saturday, April 20, 2019, at Grace Lutheran Church in Uniontown. The funeral is at 10 a.m., Saturday, April 20, 2019, at the church, with the Rev. Paul Winningham officiating. Burial will follow at the church cemetery. In lieu of flowers, memorials may take the form of contributions to the Saxony Tuition Fund at Grace Lutheran Church or the donor’s choice of church or charity. There's still time to send flowers to the Visitation at the Grace Lutheran Church, Uniontown, Missouri from 8:00 AM to 10:00 AM on April 20, 2019.